As with pretty much any instant camera of this kind, the results can be a little unpredictable - which some people will argue is the charm of the camera. 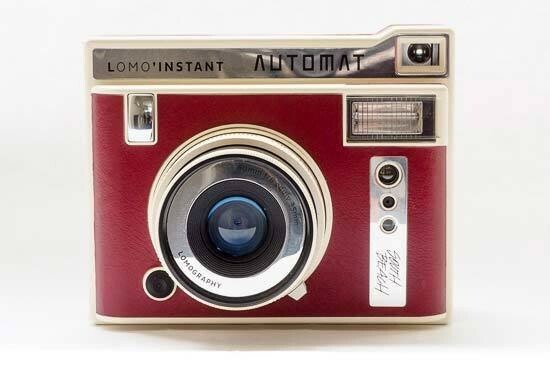 That said, the Lomo'Instant Automat delivers more consistent results than some of the other instant cameras on the market, and generally speaking if you use the camera in decent light, you will find that it is capable of producing some pleasing images. In said good light, images are bright and punchy, with a pleasing level of saturation and depth to them. Sometimes you may find if you’re using the lens adapters you see strange lens flares and so on - but again, this is arguably part of the charm of using a camera like this. Alternatively, you can use the flash in darker conditions, which also yields some good results. Although focusing is manual, if you keep to the set guidelines for focusing distance, you should generally find your shots are sharp enough. As the lens is an equivalent to f/8, you should find you don’t need to be 100% accurate to still have a decent enough shot. Generally speaking, exposure is well balanced - but there are times when it’s off, and adding exposure compensation would have helped - of course by the time you realise that after the print has come out, it’s too late. When using the close-up lens, focusing is a little hit and miss. Even though it promises to be able to focus as close as 10cm, I struggled to replicate this in the field - it may be something which you need to practice more to get the desired effect. The other lenses, particularly the fish-eye lens, are fun to use and produce fun images. Using the multiple exposure setting can also lead to some creative shots, but it’s generally best to stick to three or two exposures as any more than that can tend to result in unrecognisable subjects.